The new SQL Query Analyzer for LabTech allows you to run SQL queries against the LabTech database directly from your LabTech control center consoles. This allows LabTech Cloud MSPs to directly query their SQL instances without the need for SQLYog or direct access to the database. The Surgeon General has issues a warning that using this tool could cause major loss of data if not used by skilled SQL admins. Please be careful when using this tool. You will find that your insert worked but since it returned no data that the error you get is that the data table has a 0 index. by adding a “;” semicolon and a generic select statement you will get a return and the queries will execute. When we first put this out we didn’t really expect anything but viewing data so did not put in any error checking for a zero output. 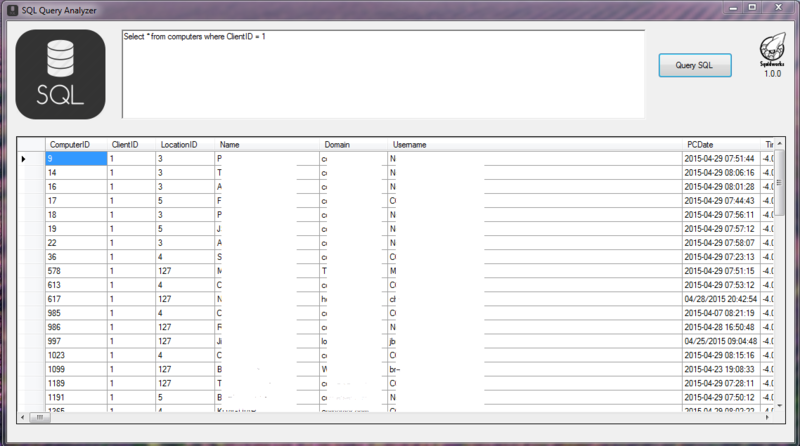 and thus the error you see..
Is there a way to make the sql query read-only?